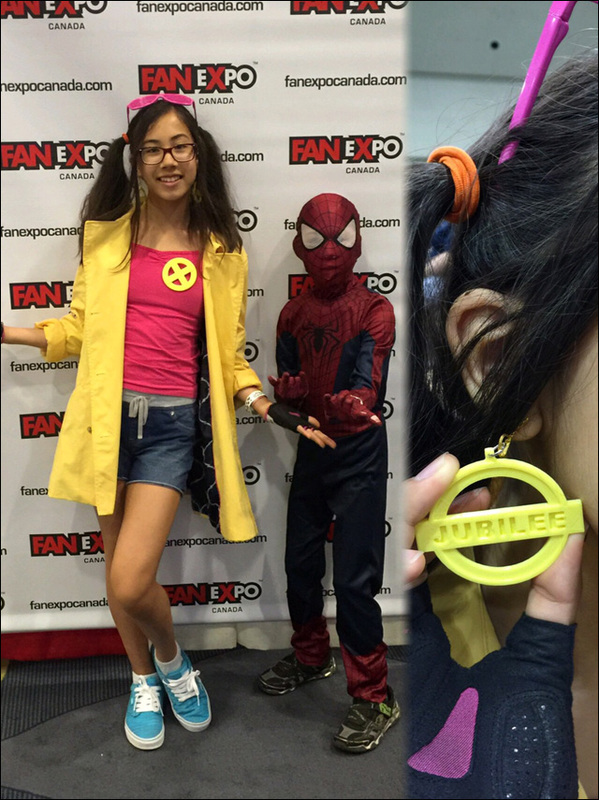 Jubilee (with 3D printed earrings!) 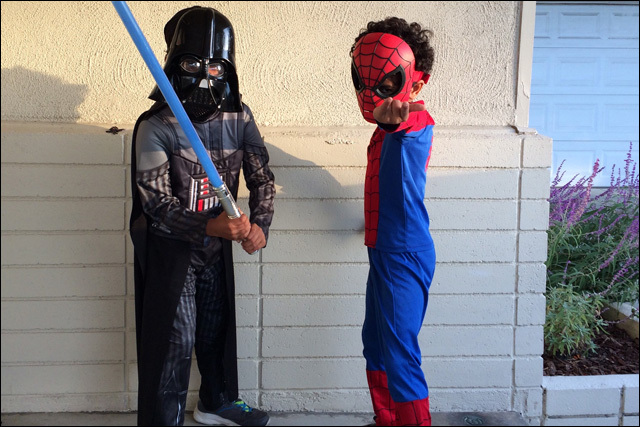 and Spider-Man. 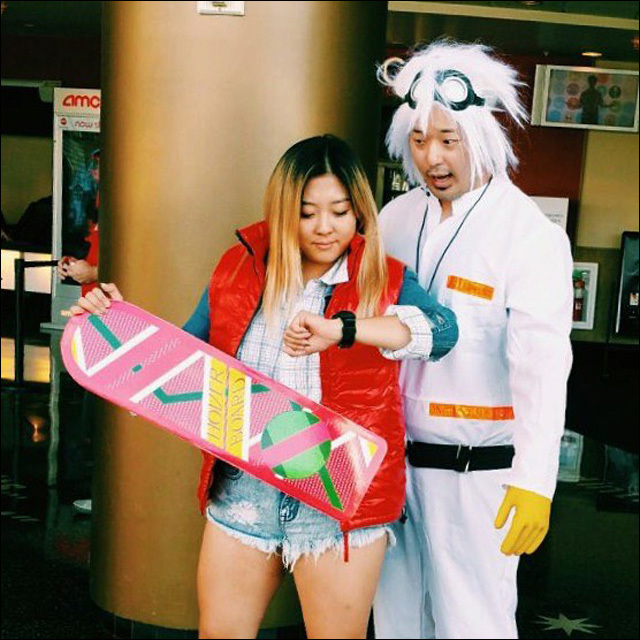 Jessica as Marty and Justin as Doc from Back to the Future. 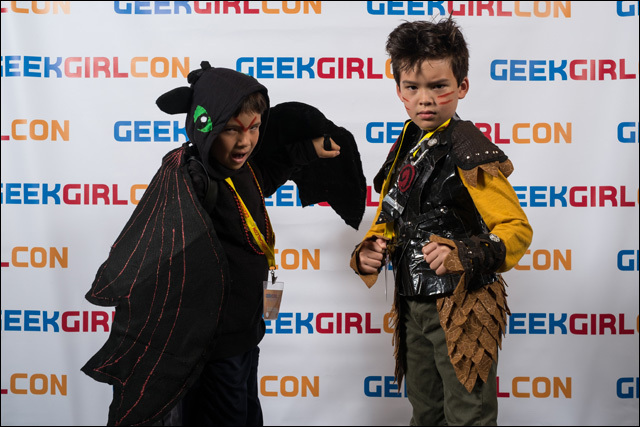 Toothless and Hiccup the Horrendous from How To Train Your Dragon. 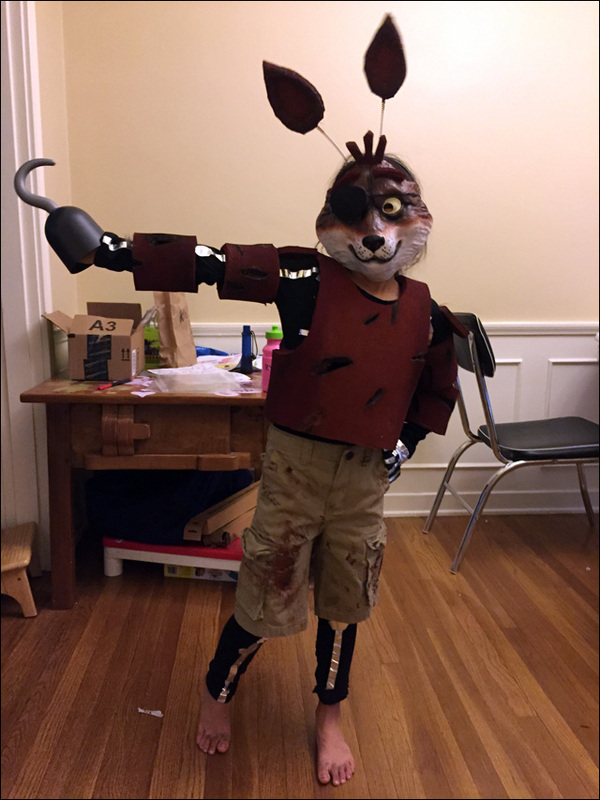 Klee as Foxy from Five Nights At Freddy's. 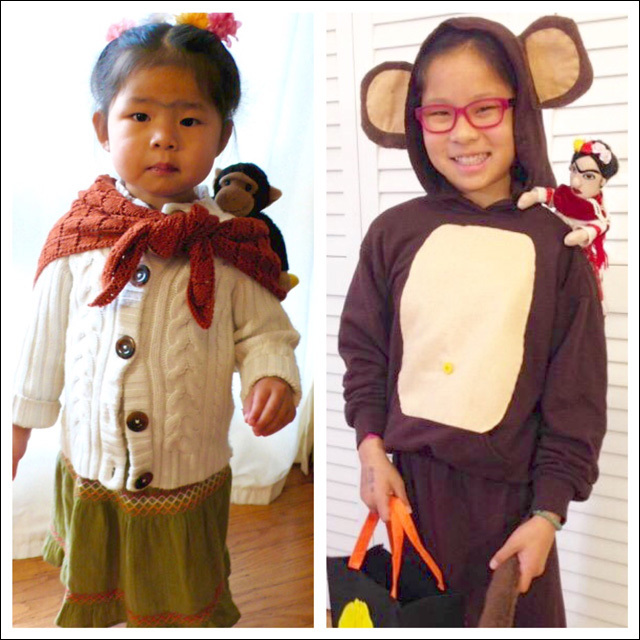 Miss M as Friday with Monkey, circa 2008; Miss M as Monkey with Frida, circa 2015. 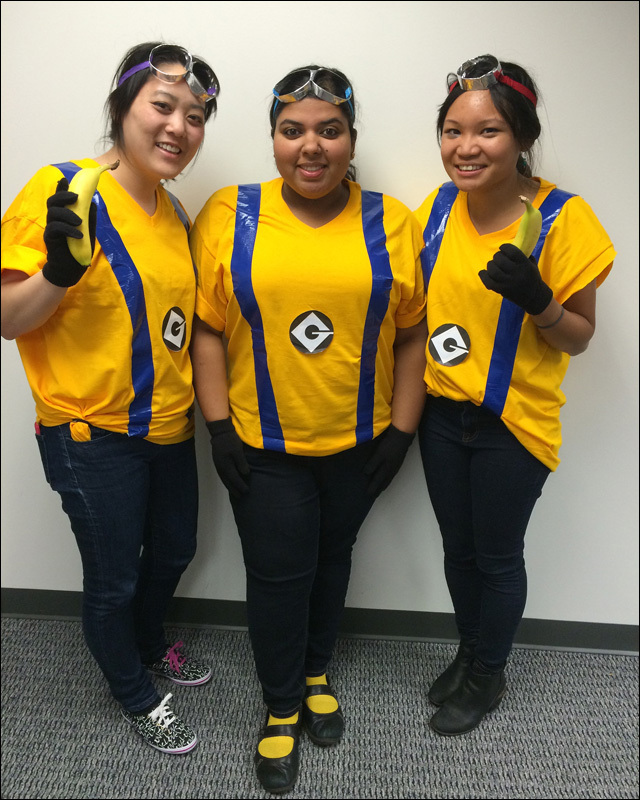 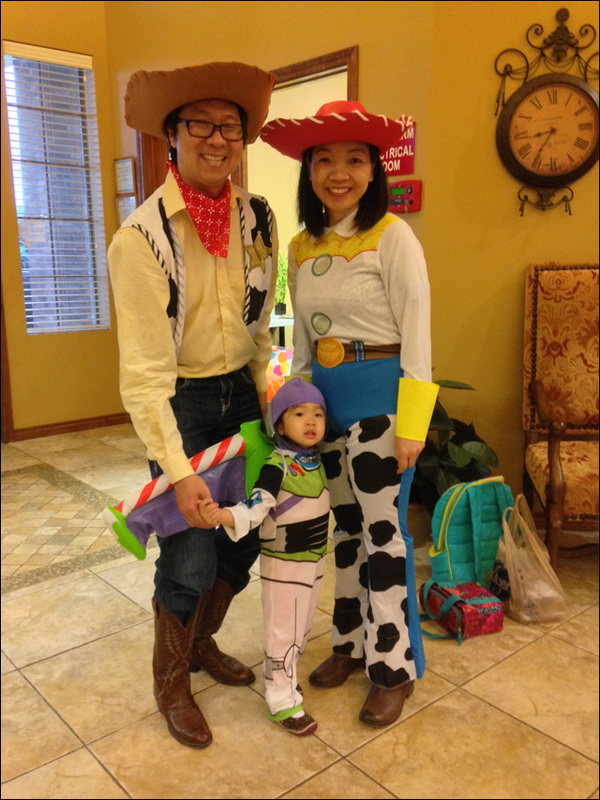 John, Chloe and Phuong as Woody, Buzz Lightyear and Jessie from Toy Story. 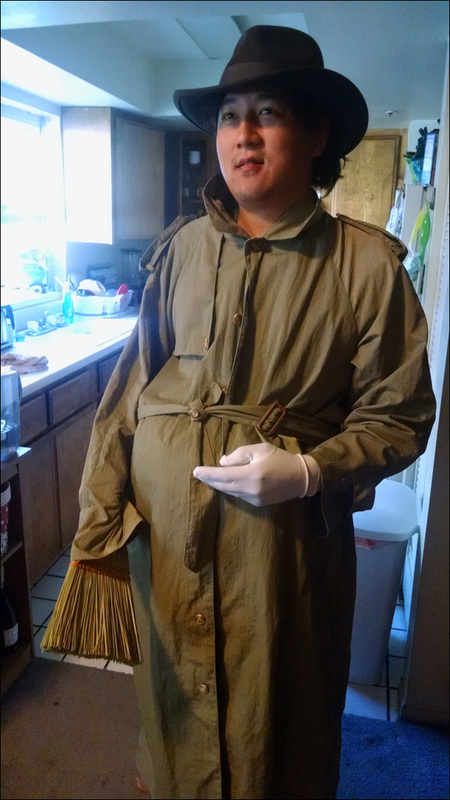 Paul as Vincent Adultman from BoJack Horseman. 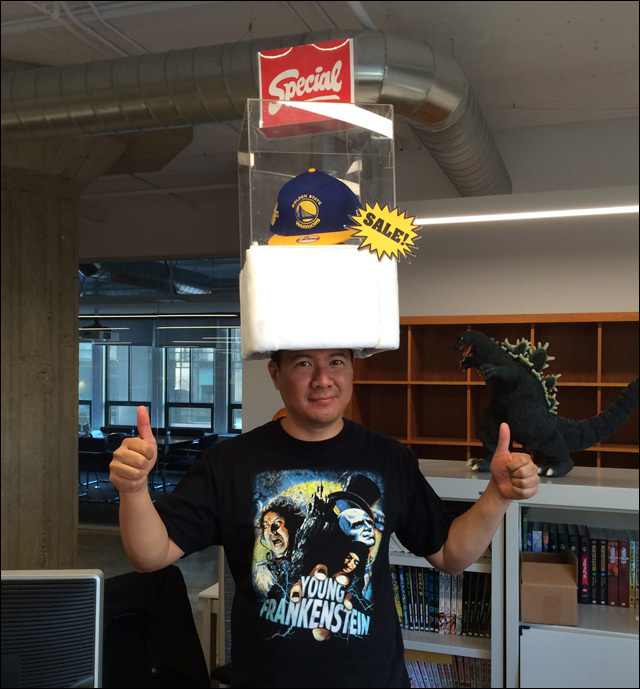 Eric is rocking Dueling Warrior Hat à la Key and Peele. 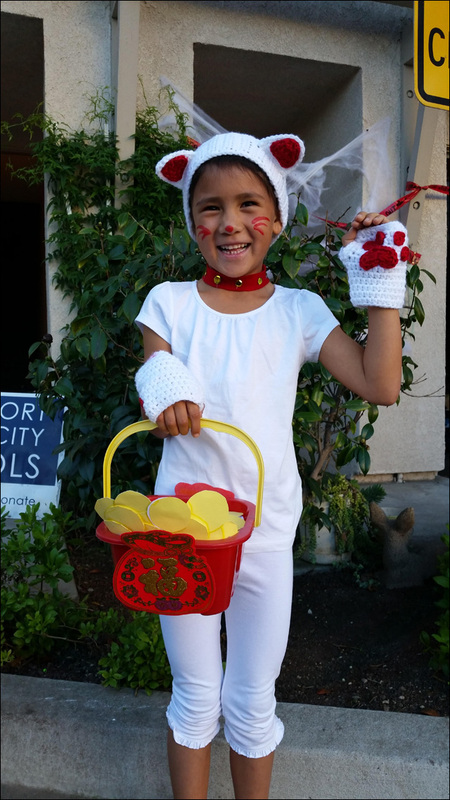 Sonia as a lucky cat.